Welcome to the PCI College Student Portal. In an effort to continually improve our services, we hope that this online portal will assist you greatly with your studies by providing you with access to increased online resources. From this portal you can ccess several existing services within PCI College, such as class timetables, forms, myilibrary, journals & lecture notes. Moreover you can submit your class assignments here, chat on forums and send and receive PCI College emails. As a Student of PCI College, you can be certain of our pledge to maintain excellence and innovation in the provision of psychological education. 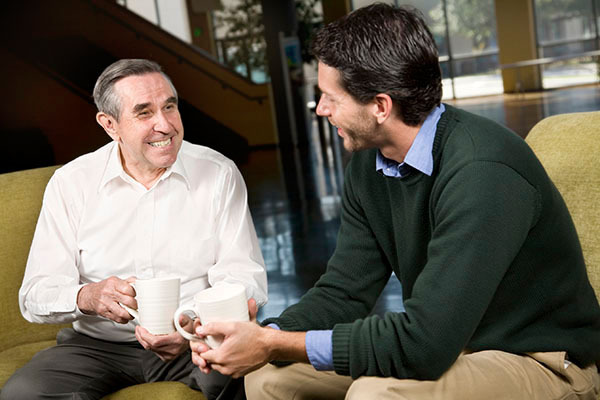 We remain committed to maintaining and enhancing our standards and continually developing as an organisation in order to remain at the cutting edge of therapeutic work and theoretical perspectives. Don't forget to keep an eye on the Announcements where we keep you abreast of any relevant dates, upcoming public lectures and CPD workshops! Before you proceed and log onto the Student Portal please watch the ‘How to Access the Portal’ video below. This will provide you with some familiarity to the Student Portal site and provide step by step guidelines on how to log on. To access the Student Portal please click on the hyperlink below. This will take you directly to the Microsoft Log-In Page, where you should enter your PCI College email address and your password. 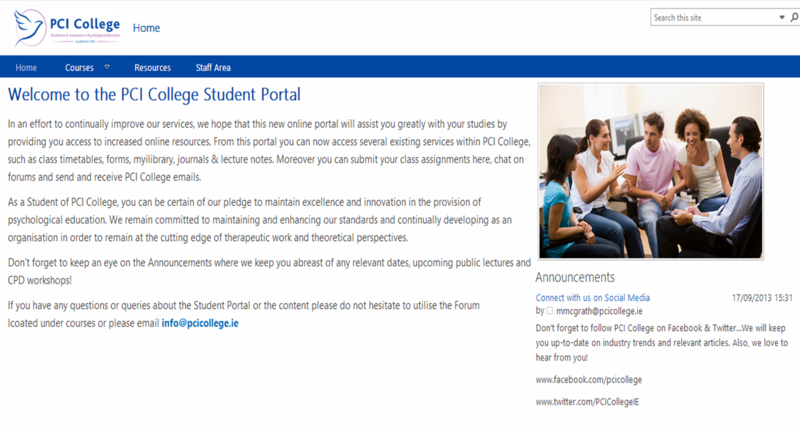 You will then be directed to the PCI College Student Portal ‘Home’ page as shown in the video. If this is your first time visiting the Portal, PCI College would highly recommend visiting the ‘Resources’ page and ‘Portal How To’ section for additional helpful videos on how to navigate around the Portal. PCI College welcome any feedback you may have on our new site, therefore please contact us at info@pcicollege.ie with any suggestions, ensuring you note ‘Student Portal’ in your email subject box. Good Luck and we hope enjoy using the PCI College Student Portal.